2019 Federal Budget - Budget or Election Promise? 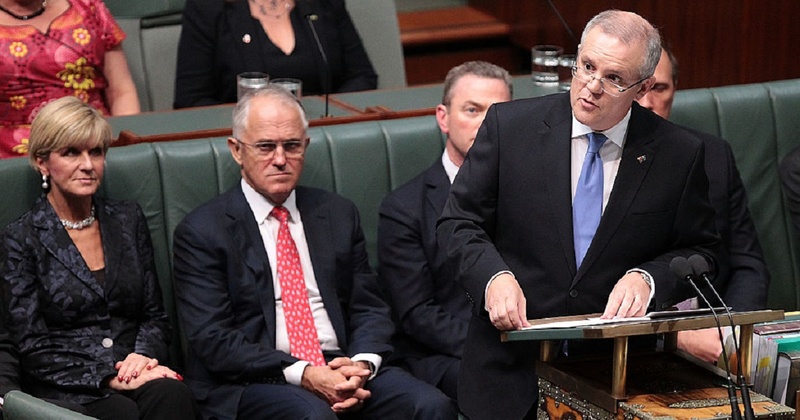 The Federal Budget - budget or election promise? 1. Personal Income Tax – new rates are proposed, but not to take effect until 1 July 2022. So as it stands at the moment tax rates are seeing no change. 2. Low and Middle Income Tax Offset (LMITO)– will mean a reduction in tax for taxpayers. A small amount, but we will take whatever we can get, every little bit counts. 3. Increase in the Medicare levy low-income thresholds – this means a small reduction in the Medicare levy payable. 4. Small Business – the immediate write-off for small business has increased to $30,000 from 7.30pm 2 April 2019 this has increased from the $20,000 in previous years. A proposal of an increase to $25,000 enacted on 29 January 2019, if legislated the measures will be as follows in the table below. The $30,000 instant asset write off also now applies to medium businesses with a turnover of less than $50 million, it has not in the past. · Please note: If you are looking to purchase an asset and take advantage of these measures please contact the office so we can clarify the timing and the write off amount available. 5. 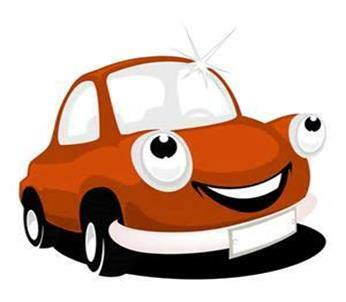 Luxury car tax refunds – for vehicles acquired on or after 1 July 2019, eligible primary producers will be able to apply for a refund of any luxury car tax paid, up to $10000, was previously $3000. · Removal of Work Test - from 1 July 2020 people aged 65 and 66 years of age can make voluntary contributions without meeting the work test. Currently people aged 65-74 can voluntarily contribute to super without meeting this test. Removal of the work test for people aged 65 and 66 enables these taxpayer's to contribute to super and get the concessional tax deduction, which for the 2018 – 19 financial year is $25,000. This is a great initiative for the super space! · Spouse Contributions – currently those aged 70 and over cannot receive spouse contributions. The proposal is that individuals up and including the age of 74 will be able to receive spouse contributions. 7. Rural areas – there is a commitment to major spending in rural areas to expand water infrastructure and provide drought relief. As always given our rapid changing governments, 'watch this space', the budget proposals can change with a change of government. It's never too late to start a good record keeping system for your business. It's an important part of being a small business owner, keeping good records of your transactions and tax invoices will help you monitor the performance of your business as well as comply with your tax obligations. be in English or in a form the Australian Taxation Office (ATO) can understand. You can incur penalties if you do not keep the right tax records. 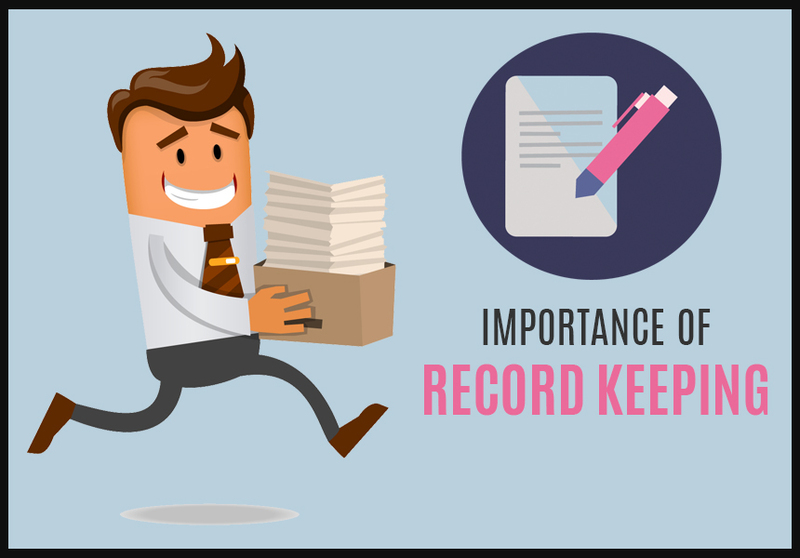 You will need to keep records to help you prepare your business activity statement (BAS), and annual income tax return. Depending on your tax obligations you may need to keep other records as well. If you have any concerns or questions please feel free to contact our office for more information. Records of all business expenses, including cash purchases. Records could include receipts, tax invoices, cheque book receipts, credit card vouchers and diaries to record small cash expenses. If you bought something for your business, but sometimes use it for private use, you also need to keep records showing how you worked out how much of its use is private. These may include lists of creditors (people you owe money to) or debtors (people that owe you money). It also includes expenses you incur buying, maintaining, repairing and selling business assets or stock. You should keep worksheets to calculate the decreasing value of your assets (also called 'depreciating assets'), stocktake sheets and capital gains tax records. Your banking records can include things like deposit slips, cheque butts or payment records, bank and credit card statements, and loan or lease agreements. Your business and personal expenses should be kept separate. Separate business bank accounts are mandatory for partnerships, companies and trusts. If you're a sole trader, a separate business bank account can also make your records easier to manage. If you are registered for GST, keep all tax invoices from your suppliers, which will help you claim GST credits. You must keep any other document that records adjustments, or a calculation made for GST purposes. You report GST amounts and claim GST credits for purchases on your business activity statements (BAS). are carrying on business activities that are eligible for fuel tax credits. Your tax and super obligations will change depending on whether your worker is an employee or a contractor, so it's important you determine what your worker is. If you would like to know more information in relation to record keeping and substantiation, call us today on 03 55851 522 or call into one of our offices. Tax Planning - Have you done all you can to minimise your tax liability? As part of good business management and governance it is important to plan and minimise, where possible, taxation liabilities. The compliance requirements of quarterly BAS preparation means that business owners are usually in a position to look at actual figures for 9 months and then make predictions for the remaining section of the financial period. The estimates can be based on historical data or could be based on what the business owners anticipates will happen. That is for both income and expenses. Armed with all this information, tax liabilities are able to be calculated for the individuals or the business depending on where the taxing point is. After the tax liabilities have been calculated, it is necessary to examine potential strategies to minimise this tax liability. 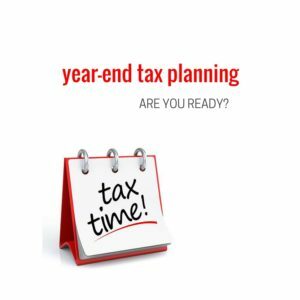 Deferring income to a later year or accelerating planned expenditure, assist in reducing your current year's tax. However, it is important that a tax minimisation strategy is examined with the overall tax savings and also the cash available. Under these circumstances there is no advantage in tying money up in an FMD for 12 months to save 12 cents in the dollar tax and only receive 2% on the money that is invested. Likewise to put money into superannuation in these circumstances would also not be a wise use of money unless you are closer to retirement. Any superannuation contribution that you claim as a tax deduction attracts 15 cents contributions tax. As you can see tax planning is not just spending all the available funds that you have, rather it is looking critically at you position and then planning a strategy which utilises available resources in the best possible way and to limit cents in the $ tax obligations. If you would like to know more information in relation to your current position and potential strategies, call us today on 55 851 522 or call into one of our offices. If you currently use the Small Business Superannuation Clearing House (SBSCH) to lodge your employee's superannuation guarantee amounts please note they will join ATO online services on 26 February 2018 and will no longer be accessible with the current user ID and password authentication after 19th February 2018. To enable the ATO to effectively transfer your data across to the new system payments via BPAY or EFT must be completed prior to 3pm AEDT on 19 February 2018. You can still review and update other information within the system. If you pay employer superannuation contributions monthly, we suggest you complete your payments prior to this time. There will be no access to the SBSCH from Tuesday 20 February to Sunday 25 February inclusive. As a result of integrating with online services, the new SBSCH will have functionality including the ability to sort employee listings and payment by credit card. If West Currie Consultants currently lodge superannuation on your behalf, we will continue to manage your super obligations through our online channel. However, if you lodge your own super online via SBSCH you can contact us at West Currie Consultants for assistance in the transition or alternatively you can go to www.ato.gov.au and search SBSCH joining ATO for all your transition information. It's simply using the internet to access software, data and storage. Cloud accounting uses the internet, via a web browser, as the means of accessing the accounting software. Accounting packages can be purely internet based like Xero, or the software is able to be accessed in the cloud and at a desktop level, like Reckon and MYOB Account Right. Cloud-based accounting software does rely on good home or business internet connection speeds and unfortunately using a satellite internet connection doesn't quite "cut the mustard", constant improvements are being made to improve the internet access and reliability daily. · Ease of access is the biggest advance. Online accounting means just that – it is online! You can access your businesses financial data from anywhere worldwide and at any time, from any compatible device. · Price is always important. A monthly access fee is generally paid which usually works out less than the cost of buying the software and paying your annual subscriptions. · The ability for business owners to interact with West Currie Consultants in real time instead of having to send the data file to us. · The software is automatically kept up-to-date by the software provider. This stops you continually having to update software as previous version become obsolete. · Backups are made frequently and automatic in online accounting packages, and in case of a hard drive crash, data recovery can be done easily. Therefore, less chance of losing data. Nothing is perfect, so what are the disadvantages of online accounting? · If your internet is down, you lose the ability to access your data. · Customer Support can sometimes be restricted to emails only – no human contact. · You have to depend on third-party services to keep your data secure. If you're thinking of moving to a cloud based accounting software package like Xero, Reckon, Intuit or Myob, here at West Currie Consultants we invest considerable resources into ongoing staff training to ensure we can recommend the best accounting solutions for your business. Choosing the right package for your business can be difficult, as there are over sixty accounting packages available in Australia. As the 1 July 2017 is fast approaching and there have been numerous changes to superannuation. 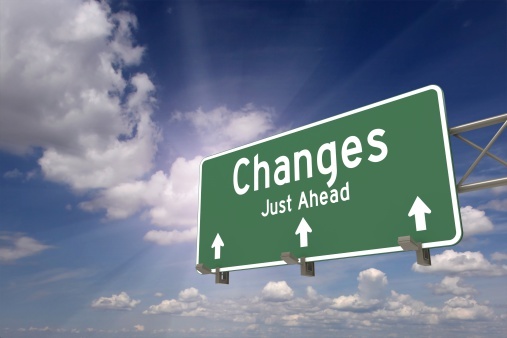 These changes will have an impact on your retirement strategy and possibly the contributions that you make. Care needs to be taken to avoid contributing in excess to the levels – which will result in tax penalties. 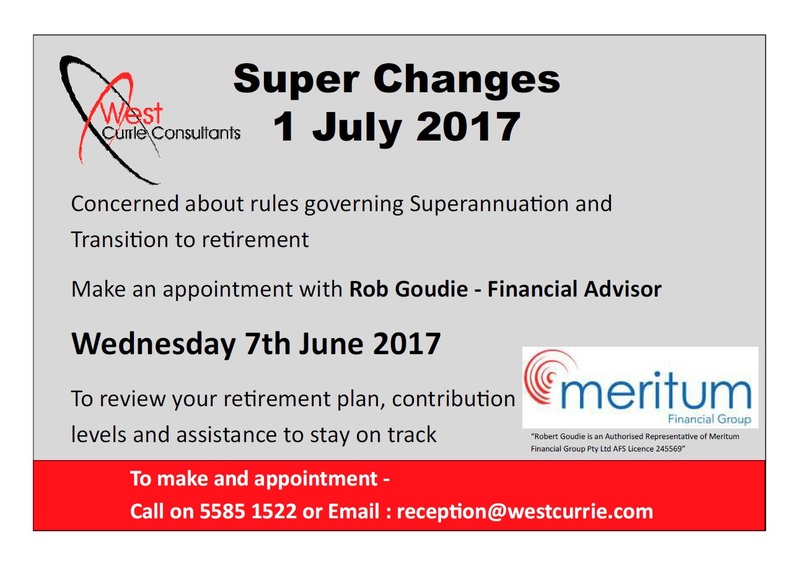 West Currie Consultants has set aside a day for Robert Goudie – Financial Adviser to attend our Edenhope Office. As you have expressed concerns or raised issues regarding superannuation in the past, I thought it was an opportune time for you to attend a no obligation free service to review your situation and ask any questions or concerns regarding your superannuation, your retirement or transition to retirement. See above, a flyer outlining when he is attending - Please contact the Office as soon as possible to secure your appointment. If you have any queries please do not hesitate to contact this Office. As New Year's Eve has come and gone but the beginning of the financial year is fast approaching, I thought it might be a good opportunity to introduce a Financial Wellness Program over the next couple of months. 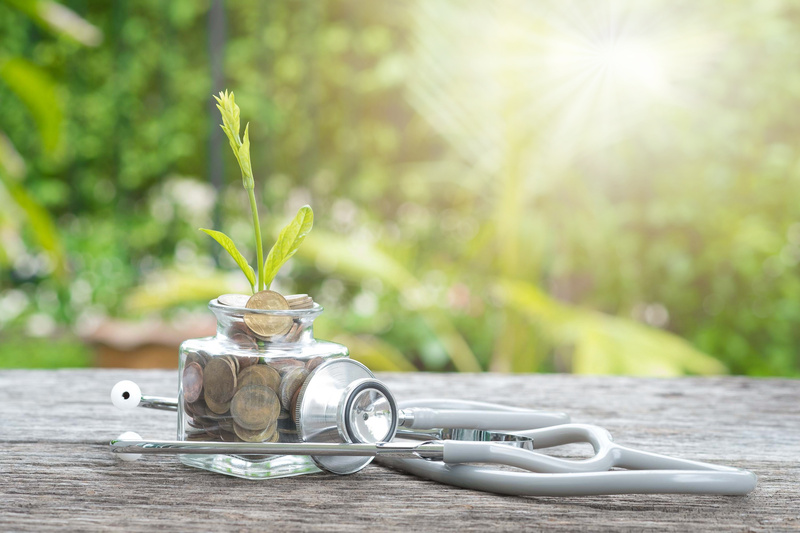 Similar to when making a News Years resolution, we all should aim to do an annual financial health check to see whether there are fundamental improvements to be made which would assist with achieving your goals. Like all resolutions this program requires commitment, if you are to jump out anywhere along the way the end financial goal or reward may not be as great. Over the next couple of months, I am going to provide you with a 30 day program which requires you to examine one financial aspect of your life each day. Remember that some of the days may not be applicable to you at this stage, however, remember that is it always good to have knowledge and/or the positives or negatives about a financial product prior to jumping in head first. 1. Before getting too far into the wellness check it is important to have an idea of the big picture. When you are working towards an ultimate goal it makes the day to day decisions easier. Set yourself a goal of where you would like to be in 12 months, 2 years, 5 years and even 15 years. We are all at different stages of the life cycle – for me at the moment I am wanting to save for overseas travel and need to plan my retirement. Your goals also need to be measurable, being measurable means they can be managed. For example, my goal is to travel overseas, put more specifically - I want to go to China in July 2018 and I want to have $12,000 available for tickets, tours and spending money. 2. Do a mini audit on your wallet - you need to know where you spend your money. Before setting up a budget to achieve your long term goals you need to work out where you are spending your money at the moment. To be able to achieve goals and save some money you need to spend less than you earn. 3. 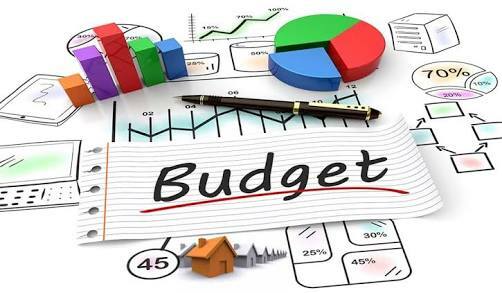 Planning and setting a budget - there is no point setting a budget which is just not workable or is not based on reality but is a figment of your imagination? If you buy a coffee daily as part of your normal routine - then there is no point depriving yourself of that . If you make the budget too hard and difficult to achieve – then you want stick to it and therefore it will be like that News Year resolution that you make at 12 midnight and you have broken it by 12 midday on the 1st of January. 4. Change of attitude to finances - being financially fit needs to be considered as important as physically fit and healthy. Our attitude to money, savings credit and finances is learnt behaviour mainly form our parents and sometimes our grand parents. Sometimes this can be good or really bad. It may be that you need to modify your attitude to finances in order to feel confident that you are able to achieve your financial goals. 5. Talk - feel confident to talk about money with partner, family, friends and work colleagues. Talk about your goals and where you see yourself in the future. Remember always be open and honest and always ask for opinions especially from your partner. Remember that you are both in this together and you need to have a level of understanding and agreement on financial goals and future directions. 6. Insurance – This is a topic that people are either comfortable talking about or they hate the topic and think that the whole concept is silly. However, you need to re-assess you and your families insurance needs - Assess whether you and your family can continue to pay your accounts if something untoward was to happen. Look at your Life insurance, total and permanent disabilities, income protection insurance and perhaps mortgage protection insurance. Insurance is a means of reducing risks associated with life – compensating for the bad things that can happen – but it will not stop the bad from happening. 7. Be a better saver - Easier said than done! However, sometimes the setting up a direct debit so that money is less available is the easiest way to compulsory save, especially if you are an impulsive purchaser of items that you really want without questioning whether you actually need the item. From your salaries you should budget on allocating at least 20% to savings, 50% on essentials in life, and 30% to lifestyle. Sometimes the amounts allocated to lifestyle can be trimmed and a greater amount put to savings. Compare the amount that you are spending on lifestyle choices into the amount that you earn on an hourly basis. For example, if you earn $25 per hour after tax in your employment and then you go and buy takeaway food one night - pay $60 for all your friends to eat. You need to stand back and think wow I just worked 2.4 hours to shout tea. This puts earnings and lifestyle choices into perspective. 8. Understand the difference between good and bad debt - Bad debt is getting a loan for a depreciating asset like a private car, a boat, a gadget, a toy or a credit card that you are unable to clear at the end of the month. Good debt is when we borrow for an asset that is going to increase in value like property or shares. Used wisely good debt increases your wealth. You should have a look at your bad debt to see whether there is a better financing choice that will enable a better use of your money or try to clear that bad debt as soon as possible. 9. Make sure that you always maintain good records - A fundamental aspect of financial wellbeing is knowing what money comes in and where that money is going. You cannot do this unless you have good records. Take the time weekly to check what is leaving your account in line with the receipts that you have in your wallets. Your need to make sure that your partner is also involved in this process so that you can really assess where money is going and what it is being used for. 10. Know your credit rating - this will be the first thing that a bank or financial institution will look at when you apply for a loan, making sure that you pay accounts on time and when they are due will help your credit rating. You can review your credit rating at the ASIC Money Smart Website, follow the link below - https://www.moneysmart.gov.au/borrowing-and-credit/borrowing-basics/credit-scores. This is a starting list of things to do over the next 10 days. I want you to analyse these areas before I introduce the next steps. If you have any concerns, want to discuss any of these measures or want help with working out a spending and savings budget – just call, email or drop into to West Currie Consultants and the team will assist you in achieving financial wellness and your financial goals. Keep your eye out for the next 10 steps to financial wellness in the coming weeks. This took effect from 1 July 2015, however, it appears that some business owners have not quite understood the impact that the removal of these methods have had on their ability to claim motor vehicles expenses and also the GST on these business expenses. For example. if you previously claimed 12% of cost of your motor vehicle, which provided you the best claim, this method has been removed and unless a logbook has been kept you are limited to the 5000 business km's which doesn't always provide the best claim. During the 2015/2016 financial period information was detailed in our West Currie Consultant newsletter, promoted through our Facebook page, website and direct communication with clients to ensure that they acknowledged that they needed to reassess their motor vehicle methods and that if a client was not comfortable with limiting your claim to 5000 business Km's then you were compelled to complete a log book. If there is no log book maintained during this period, then the total deduction is limited to $3300.00 – 66 cents per Km. The simplification for the cents per/km method was altered to a flat rate regardless of what engine capacity the vehicle is. This method also restricts the amount GST credits claimable on motor vehicle expenses to only 20%. As you can see this budget measure for simplification of motor vehicles has actually left some business owners cornered on their motor vehicle claims. Any motor vehicle outside of these parameters are considered commercial vehicles and as such are 100% business claimable. If you are uncertain about the treatment of your motor vehicles or are wanting to maximise your claim please contact the professional staff at West Currie Consultants. On another important issue – are you Superstream Compliant? If not, you must be immediately, please contact the office if you need any assistance with registering under the Superannuation Clearing House. Uncertainty is not just something that we as Australians are faced with, whilst Australia is currently staring down the barrel of a gun at a Hung Parliament; on a global scale 'Brexit' has resulted in the UK voting to move out of the EU and the ongoing saga of the American Presidency campaign with Donald Trump on the rise. They all share a very common theme, that there is an ongoing political shift away from the status quo; there is a consequential amount of our society that does not feel as though the political agendas of the major political parties represent their desires for the future. Whilst attending public practice seminars and tax school conferences, we were told time and time again to 'watch this space' until after the Election; regarding the budget and legislative changes. 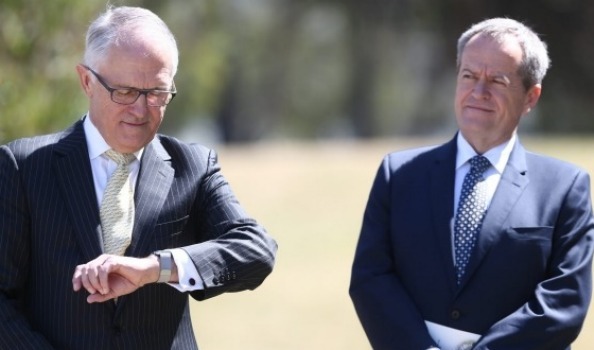 However, here we stand, four days from the Election on 2 July, and whilst the counting of the votes has resumed we are no closer to knowing the fate of the Australian Government. We are still in, for lack of a better term 'Government Limbo'. If the actual process of voting, with those long white Senate papers squeezed into the undersized voting booths wasn't enough to unsettle you, or was it the difficulty with choosing 'at least 6' parties for the Senate with a pencil and the ambiguity of the parties, we are now faced with the possibility of a hung parliament. Whilst not really following the Election Campaign myself, as eight weeks was far too long to go around and around, I found myself refreshing the website on Saturday night, watching both parties sneaking forwarding and taking a seat each. People are really not convinced either way, especially with the words Hung Parliament being continuously thrown around. Keep in mind that since 1940 there have only been two hung parliaments, with the most recent being in 2010. In my reading what has resonated with me the most is that a hung parliament can produce instability, delays, stagnant or untimely policies and the possibility of the flipping between governments. Instability is all too common in our Australian Government in recent years. What we should take from all of this. The uncertainty that lies ahead of us tends to have an impact on business and consumer spending habits, Siobhan Blewitt from Morgan Stanley says they are concerned that the election results could undermine business confidence, leading to weaker volume growth for the banks in the 2017 Financial Year. The implementation of policy will stagnate with the election outcome diminishing any hope of smooth legislative agenda in our parliament. Julie spoke with Siobhan Blewitt, who is a stoke broker, this morning and she indicated that this is the most volatile and uncertain that she has seen the stock market in the last 10 years, this is attributable to both domestic and international events. The budget paper has all but been forgotten, and with no result from the Election to date, we are no further advanced to know which policies will and will not be brought in. The politics within the Parliament itself will create a large hurdle for anything at all to pass. However, we can only continue as normal and be as informed as we can be if an when the bills are passed and legislation is created. For West Currie Consultants however, business is as usual. The end of the financial year has come and gone and we are well underway in the 2017 financial year, with some returns having already been done. While once upon a time July was a quiet gave all staff the time to reboot and recharge before the onslaught of a new tax year. However, with the increase in technology we have clients knocking on our doors as early as 1 July. As always we thank our loyal clients for their trust and look forward to working with you into the future. The 2016 Federal Budget has all but been forgotten in the wake of the Election set for 2 July 2016. It is important to remember that the budget is merely a proposal put forth by the government of the day, it is not actually law until these policies get passed by the newly elected party. Whilst there has been plenty of negativity surrounding the budget, there are also some advantageous measures coming out of the budget. · Removal of the work test for people aged over 65, as such everyone up to 75 can contribute to super and get the concessional tax deduction, which from 1 July 2017 is $25000. This is a great initiative for the super space! · Removal of 10% Test: Even if you are earning wages and employer paying super you can contribute and get a tax deduction up to an aggregate $28K per year. - This paves the way for a greater range of options and flexibility in tax planning. · Allowance of catch-up concessional super contributions, for example, if you have only contributed 5K of the available concessional contribution each year for past 5 years, you can catch up using $25K annual deduction. The catch (as always) – an individual must have less than $500K in super to do so. · Removal of tax exemption on earning of assets supporting (TRIS). Whilst the option is still available, any income earned on fund will be taxed at 15%. Will be best to look at stopping your Transition to Retirement or conversely, convert them to a normal pension, if this option is available to make use of the tax free income threshold. · Limit of $500K on amounts that can be put into super on a non-concessional basis: this includes anything put in since 2007. However, I would suggest that you watch this space as the retrospectivity of this policy has caused quite the stir. · Introduction of $1.6Mil superannuation transfer balance cap, this cap is on the total amount of super you can transfer into pension phase. However, the majority of pensions will still be tax free within the superfund, up to $1.6Mil. Regardless of the Government, Super is always a changing vehicle, make the most of the good policies while you can! Most of the measures are not proposed to change from 1 July 2017, so still plenty of time to make use of the current measures. · From 1 July 2016, 32.5% personal income tax threshold from $80000 to $87000. A slight tax saving for those creeping up a tax bracket. · Small business income tax offset (SBITO) from 1 July 2016 will increase from 5% to 8%, however the $1000 cap per individual will remain – thus negating any benefit from such a proposal! o Three year Depreciation for Fodder Storage Asses – silos and tanks used to store grain and other animal feed. I can't stress enough to 'watch this space', having attended two conferences post budget those three words were the most important piece of information given!